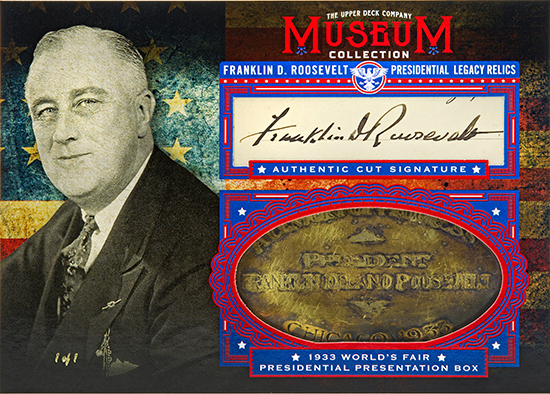 Upper Deck’s Goodwin Champions product has a long history of delivering historic content of political leaders, including American Presidents. 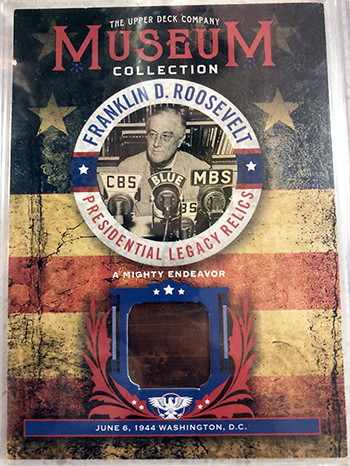 This year Upper Deck decided to shine a light on one U.S. President in particular with the Museum Collection memorabilia cards. 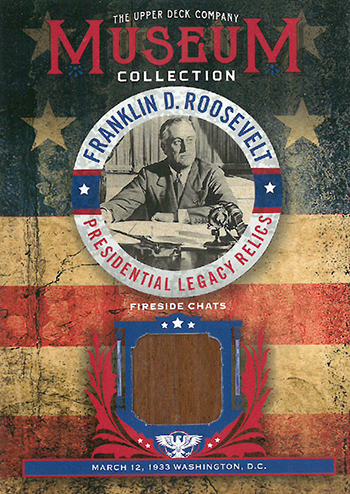 The leader profiled is Franklin Delano Roosevelt (FDR) who served as the 32nd U.S. President from 1933-1945. FDR won a record four presidential elections and he played a major role in 20th Century world politics. 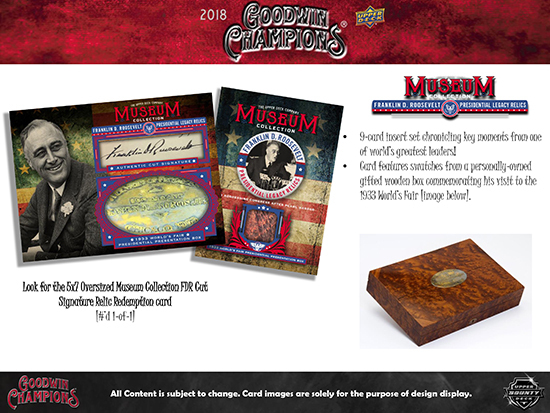 Collectors have been fired up to find these unique memorabilia cards in packs of 2018 Goodwin Champions which is in stores now. While collectors don’t usually like exchange cards, here’s one they will definitely dig. This oversized cut signature and memorabilia piece were too big to fit on a normal card. So we built a 5”x7” oversized card that is a one-of-one and is available through a redemption card inserted randomly into packs. The collector who opens the pack containing this card will have discovered an incredibly historic relic! 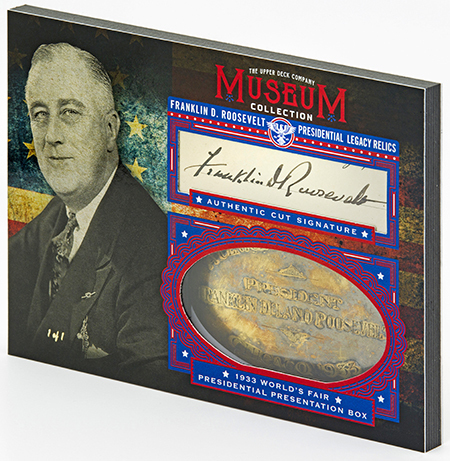 Here are some live looks at FDR Museum Collection oversize card, just waiting to be claimed. Happy hunting!